Henry Ford was never big on choices. The Ford Motor Co. founder and automotive pioneer once famously said you can have a Model T “in any color so long as it’s black.” Luckily, Mr. Ford was running an auto manufacturer and not the workshop at the North Pole, so there are options-a-plenty when it comes to Christmas gifts for Ford enthusiasts. 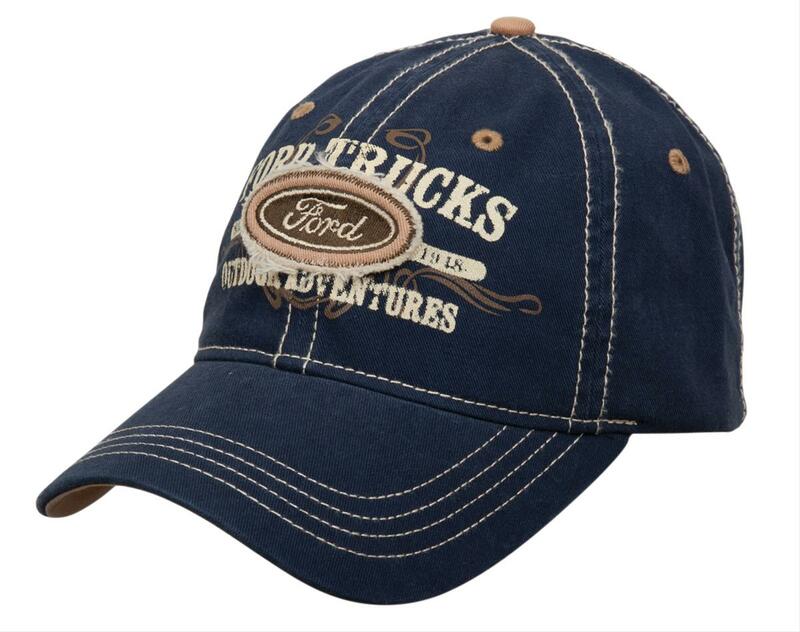 Henry Ford was more of trucker hat kind-of guy (or so we’ve heard), but we still think he would have approved of this 100-percent cotton twill Ford trucks hat. 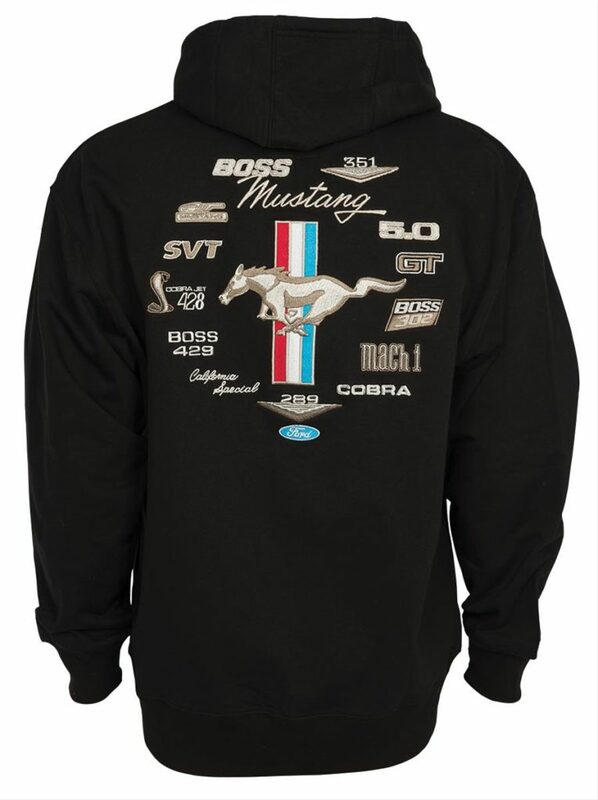 The look is as classic as the Ford Motor Co. itself. We know, and thanks for noticing. Actually, the lights on this LED sign (143 of them) are animated in a clockwise chasing pattern. That makes the 19 x 10 sign an even more perfect addition to a man cave or office. Why display your trinkets and collectibles on just any shelf when you can display them on the front end of Ford’s favorite top-end muscle car? And unlike Ford himself, Summit Racing gives you more options…shop all their bumper shelves here. 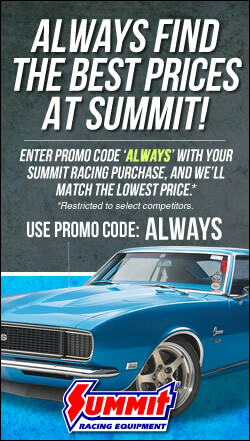 If you’re in the market for a real Ford engine, visit our friends at Summit Racing. If you’d like something that’s more likely to fit under a Christmas tree, visit—well, our friends at Summit Racing. 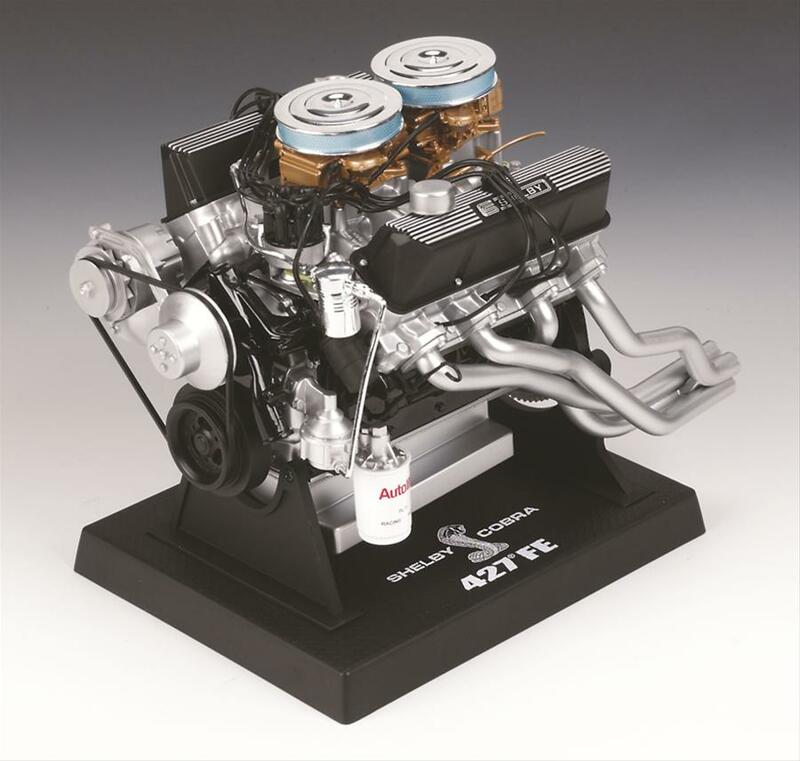 They offer a variety of Ford replica engines that’ll look good on a desktop, shelf, or wherever. Outside of opinionated bumper stickers and long, rambling Facebook posts, there’s no better way to express yourself than with a sign. 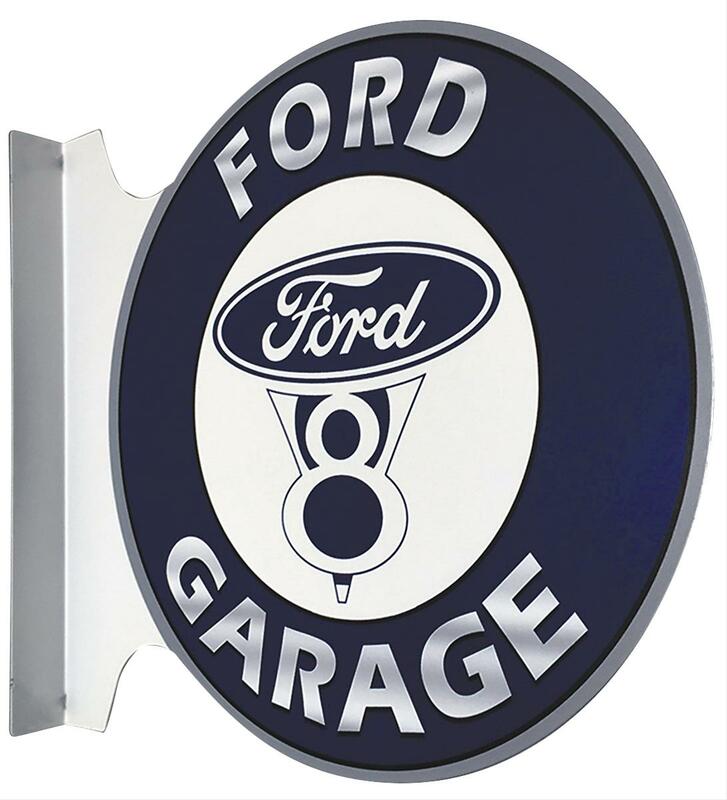 And you can find plenty of Ford tin signs to express your Blue Oval allegiance. 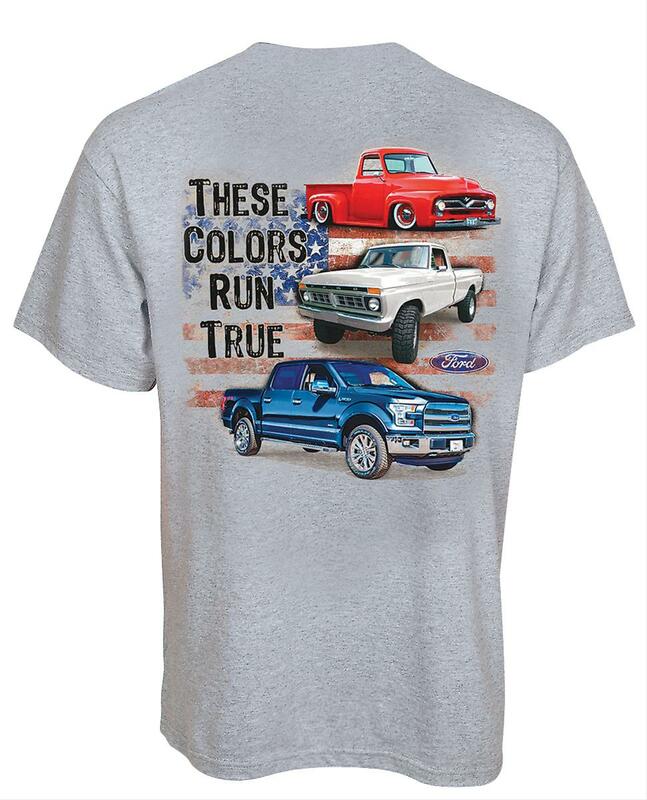 Know someone who wears their Ford pride on their sleeve? Then they’ll definitely appreciate a Ford T-shirt, including one of our faves: These Colors Run True T-shirt (above), Laid Back Mustang T-shirt, or Ford Barbed Wire Flag T-shirt. Let’s get one thing straight: it’s a collectible, not a toy car (we don’t care what our much more successful and well accomplished older brother says). 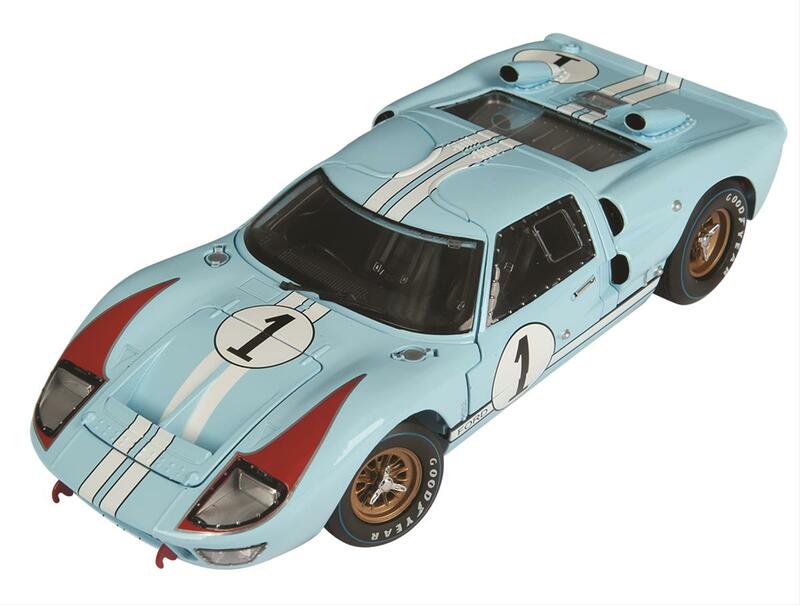 Now that we’ve cleared that up, you’ve got the green light to shop an array of Ford collectible cars that would make great gifts for anyone. We were a big fan of Cliff’s Notes throughout our seven-year college stint. 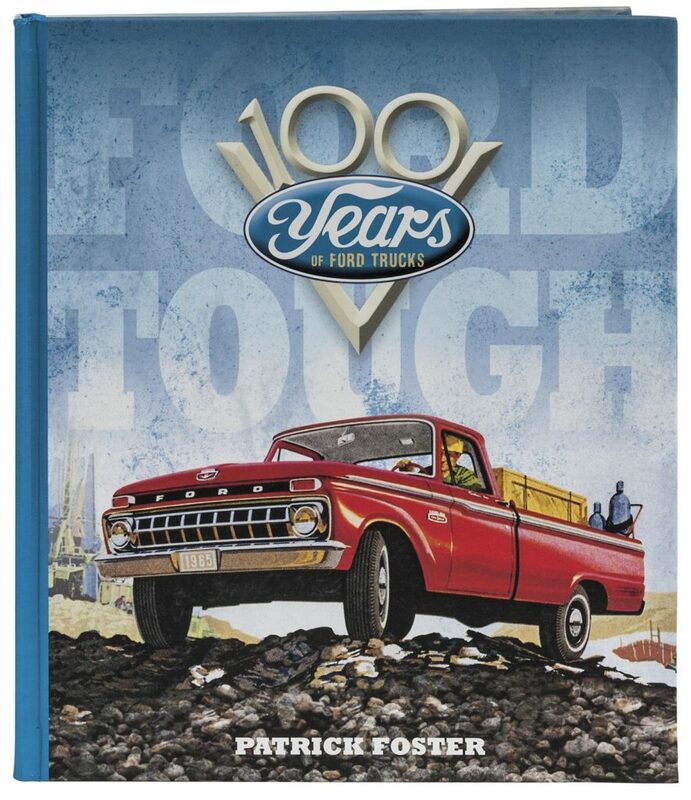 But make no mistake…this Ford Trucks book is not short on detail despite the fact it condenses 100 years of Ford trucks into 208 pages. It’s cold outside–at least it is here at OnAllCylinders World HQ. That’s why Ford sweatshirts like this Mustang hoodie, make great gifts. Your loved ones will feel like 1960s Lee Iacocca himself is wrapping them up in a warm winter’s embrace. Not that there’s anything weird about that. 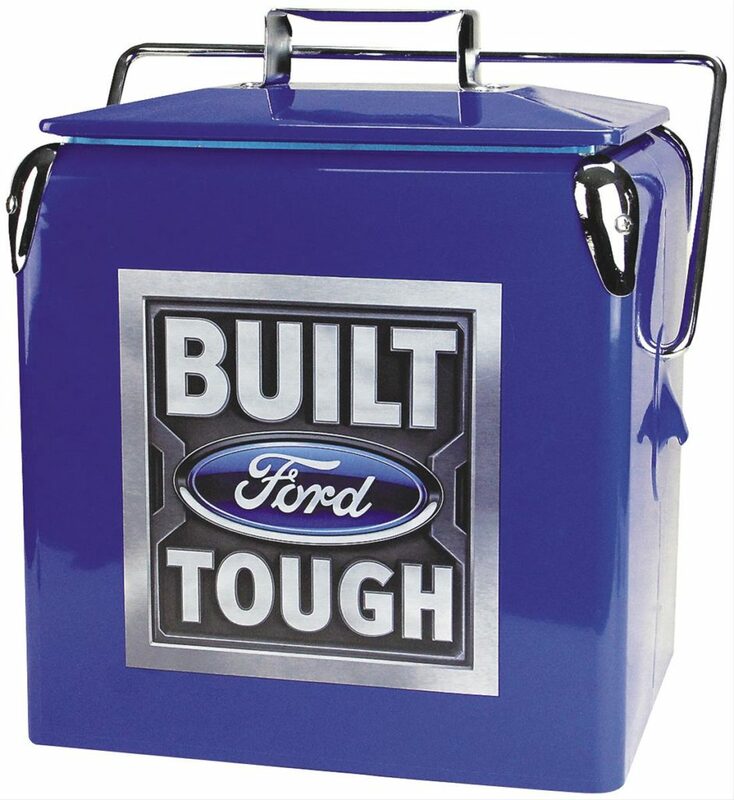 This cooler is “Built Tough.” More importantly, your drinks will be kept cold. ‘Nuff said. Clock-watching is generally frowned upon. But in the case of these Ford clocks, it’s okay. 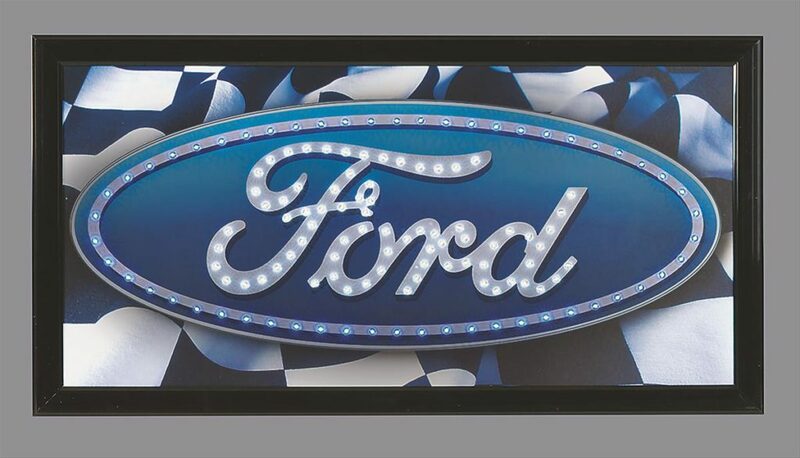 Even the most micro-managey of bosses would understand why your eyes are drawn to a unique, Ford-centric clock like the neon one shown here. 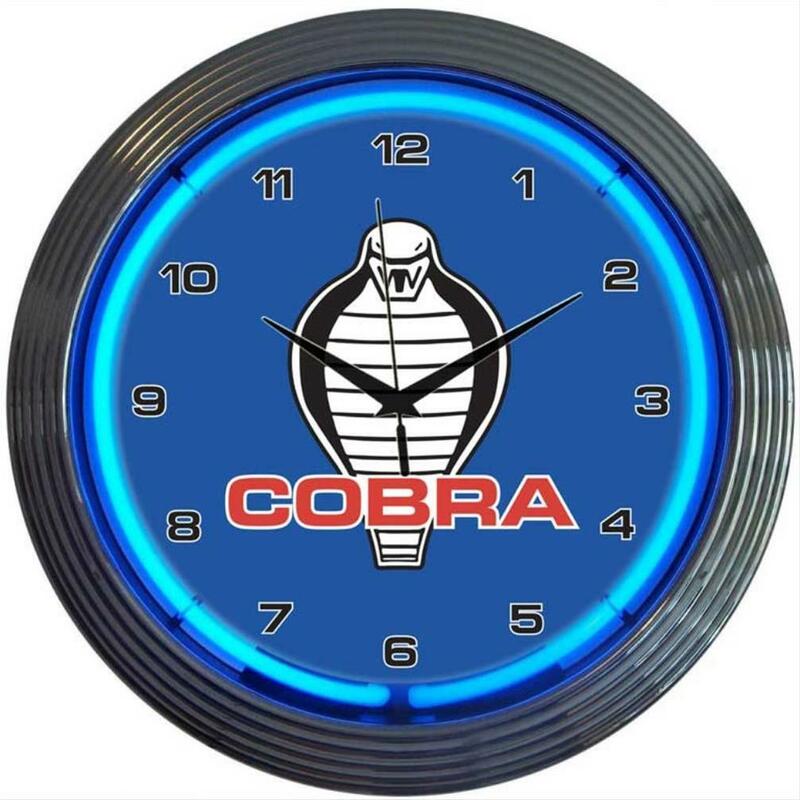 And guests in your den, office, or man cave will drawn to the distinctive clocks, too. Piece together a few basket-case Fords from yesteryear—all for under $20. 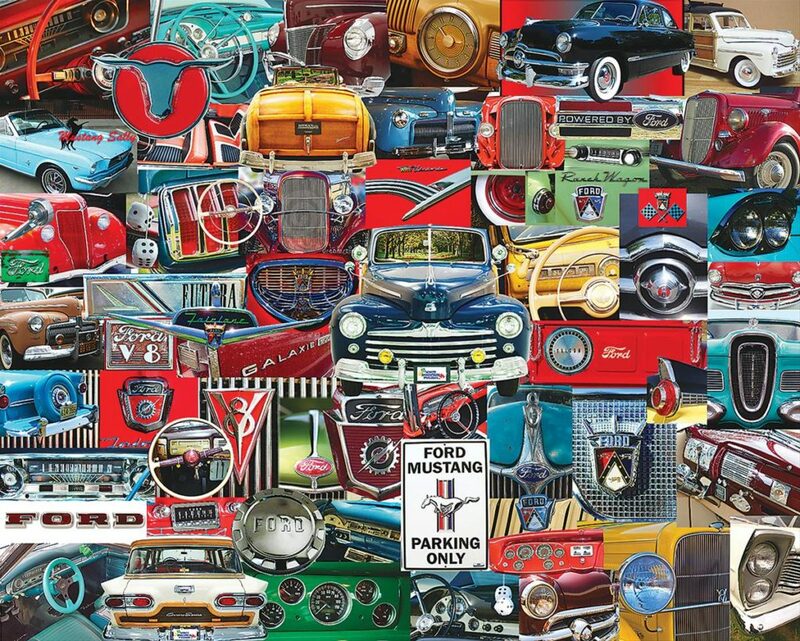 These Ford-centric puzzles, including Mustang puzzles and F-Series puzzles, will keep you occupied between project cars. And they won’t get grease all over your shirt like that last Ford you worked on!